Finally, a collectible that heroes not only fruit, but everybody's favourite tropical fruit, the banana! Peel your Banana to reveal a unique and silly character hidden inside. 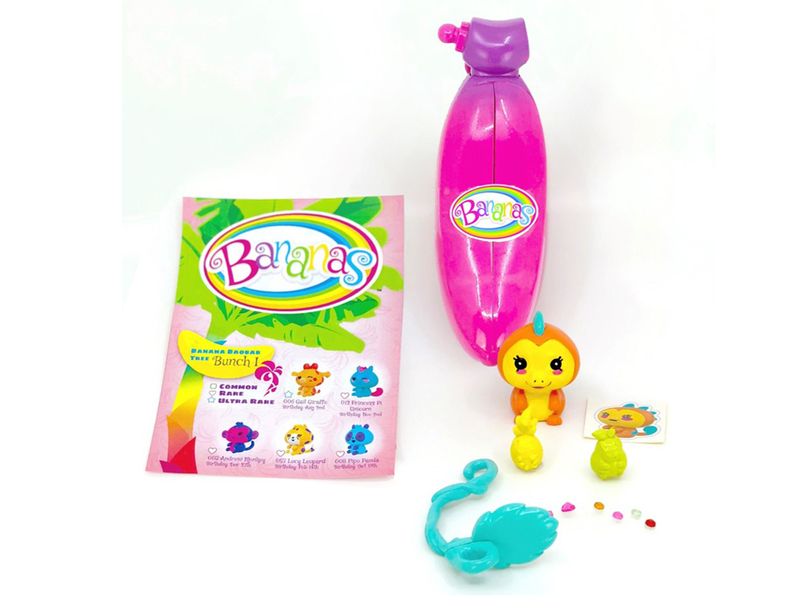 Each scented Banana contains the character plus seven gemstone stickers, two mini squishy friends, a vine hanger, and a collector's sheet. There are 96 characters to collect across four Banana Bunch families, including rare and ultra-rare characters. Each character comes with their own bio, belongs to a family tree and has a BFF from a different family tree. Coming in lots of colours, all Bananas connect together to form a bunch! And Banana peels can be opened and resealed over and over again. Suitable for ages 4 years +, Bananas are available now from Kmart, Big W, Myer, Toyworld, Toymate and Kidstuff and independent retailers.